Please note: Our Florida Seville Oranges are not for eating or juicing like most oranges. Unlike every other orange we offer, these oranges are sour or bitter. While not intended for eating out of hand, Seville Oranges are absolutely necessary for authentic Mojo Criollo marinade or a super delicious Bourbon Sour. Many other recipes from drinks to desserts, marinades to marmalades, rely on Florida Seville Oranges for the most authentic flavor. While Florida Seville Oranges are only available November through March, you can freeze the juice for use during the rest of the year. Sign up to be notified when Seville Oranges are in season. Florida Seville Oranges are available November to March to the lower 48 US states and eastern Canada. 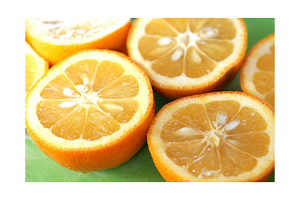 Also called Sour or Bitter Oranges, Seville Oranges are not suitable for fresh eating or drinking because they&apos;re so sour. However this sour quality makes these oranges perfect for authentic recipes like Mojo Criollo, Bourbon Sour, traditional English Bitter Orange Marmalade or Sour Orange Pie.